You see what I mean? 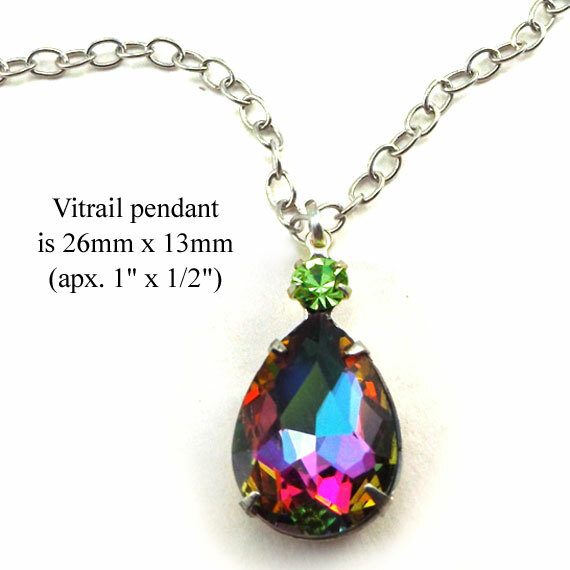 It's a simple design, basically a pendant jewel (in this case, a rainbow vitrail teardrop paired with a tiny sparkly rhinestone) - attached to a silver plated brass chain with a sturdy jump ring. Personalize the jewel colors (maybe with birthstone colors for your customer or gift recipient) and you've made lovely necklace. Shop Weekend Jewelry for all your DIY rhinestone jewelry supplies and findings - and check out the BOGO sales on our blog!